just make sure the injection system is up to snuff. That's the only problem I ever had. I believe the ride was raised to accommodate headlight/bumper height requirements. there should be compatible suspensions available to give it the European spec ride height. 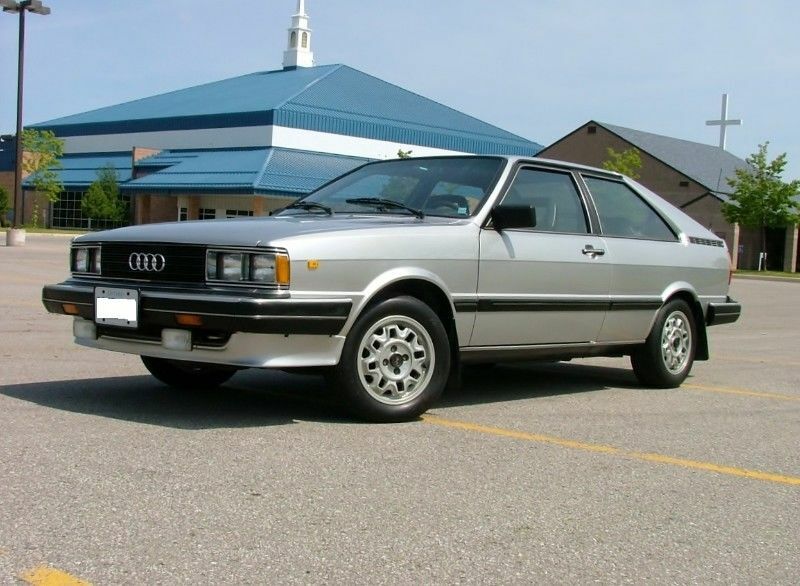 Poor high school kid who works at Timmy's, if it wasn't for dad's loan company he wouldn't be able to afford the suspension mods, let alone a quattro body kit. Way too nice of a car to kit anyways. Just a few odds and sods to make it better, shifter bushings, engine/trans mounts, wiper blades, etc. Owned since 1989 by a obsessive compulsive east european car mechanic. Never winter driven, my son is the 3rd owner. But the high ride and small tires almost makes it look like it is. Even I would do something about the stance. Everyone says it looks like a Delorean, really it's a small german tank....3500lbs. Nice car. I had an 84 in white. The 1st wife got it in a divorce. Another story. There is a guy that knows a lot about these cars. His name is Dan Garza. Sorry, but the best way to find him is on Facebook. If you have or you son has a Facebook account, you can usually find him on a couple of pages. There are a few peoples on these pages and they could help you. Been a while since I had mine, but I was running Konis and springs. Oh yeah, the car weighs less than 3000lbs. The Dasher/Audi Fox are considered B1 cars. The CGT is more like the Quantum. In Europe the Dasher is the same as the B1 Passat and Quantum was a B2 Passat. I am not following you, but you won't get much out of the VW Vortex Fox page. I have one of those cars also. If you decide to up grade the front brakes, this car has the same brake carrier bolt pattern as the later years 4k/Quantum/VW Fox/VW Scirocco cars. Your brakes are probably 239X20. You can do an easy upgrade to 256X20. Send my a PM and I can send you pictures and stuff. Checkout www.audizine.com, audiworld.com for forums. Quattroworld, too. The 5 cylinder motor is fantastic. 2bennett is an Audi tuner, also sells used parts. Look at blauparts.com for maintenance type parts. cool I'll check them out. One thing I don't understand is what the "in the know" guys call this car (B2, a80...???) seems it must have crossed many model lines. audifans.com is another possibility. Scott Mockrey used to run a website ("sjmautotechnik" that had great info on the 5 cylinder engines, especially the FI)---not sure if he's still around. Anderson Motorsports near the Twin Cities (MN) used to be good source of suspension bits and pieces. That is an earlier (quad headlight) B2 80/81 car. I owned a later (87) 4KCSQ which I wish I still had. I never liked the coupe styling. I dealt with Scott at SJM a lot, but not in a few yrs now after losing my UrS6 Avant to the Ex. The 2.2L 10V w/CIS is dead reliable if maintained. Not much in terms of upgrades other than a 10V (or 20V~!) turbo swap. He's a careful driver, almost all country roads and small towns, already badly wiped out an ATV and found out he doesn't like getting hurt. He's careful, already stated the obvious that he's having troubles judging distances etc. Slowing down too early at stops, corners etc. I see him safer in a 3000+ german tank than a chevy cobalt, civic, etc and everyone we looked at in price range was a POS. That said he was hooked on this as soon as he saw it. I had to spot him 1.5K, but it's his summer work money and he's paying me back. He was looking at bugs, his buddies are all into oddball/old cars. I've taken him to bug shows since he was a toddler. His best friend every family member has a show/summer car. Even the grandma has a 40's chev P/U, mom a 38 ford rumble seat, both chevy 350's, sorted, etc. They are always taking my kid with them to car shows since he was in grade 1. Most gearheads in Canada have a summer car, winter car and strive for a cool weekend car. Messaged Dan Garza hopefully he'll reply, I found this is it written by you? A job like this works for me, but I bet this is for '83-, I've lowered VW aircooled, 914 conversion and welded in a couple mustang front ends. I can mod suspension bits but I don't want crazy, I want something that just bolts to the car.